The ski resort Davos Klosters offers pure action: You will find enough challenges on 300 km of perfectly groomed pistes. Safe snow-fun is assured by the professional service of INTERSPORT Angerer Sport: The winter sports experts know how important it is to have the appropiate ski boots - rely on professional boot fitting and comprehensive service for your winter sports equipment. 55 most modern ski lifts take you to Davos Klosters for challenging runs on all levels. The service of INTERSPORT Rent in Davos Platz is also up-to-date. You will have grip on icy slopes with the proper edge grinding, the appropriate structuring of the covering provides better gliding in snow. You are prepared for all snow conditions with professional ski service: Trust in the experienced team of INTERSPORT Angerer Sport in Davos Platz! 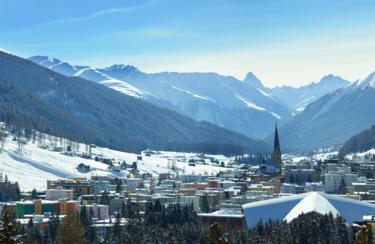 Get useful information for your holiday in Davos Platz to your mobile! Super Service, fantastisches Material. Vielen Dank!